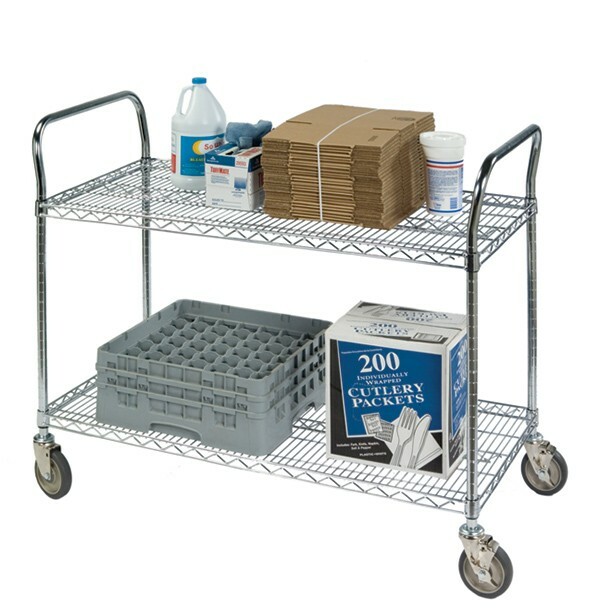 Rugged open wire shelf carts feature 1200 lb total load capacity and dual tubular push handles. 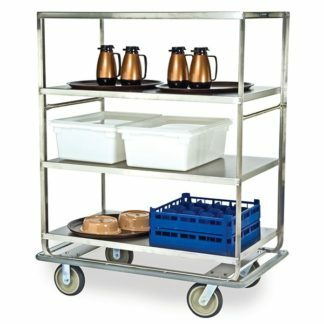 Shelves feature truss reinforced edges for extra strength. 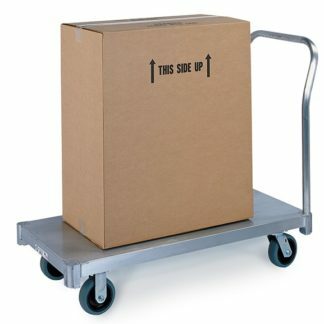 Casters are 5″ diameter, two with brake. 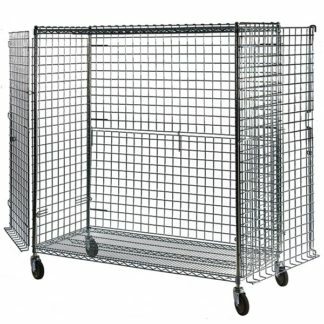 Choose from a wide variety of sizes in 2- or 3-shelf versions.